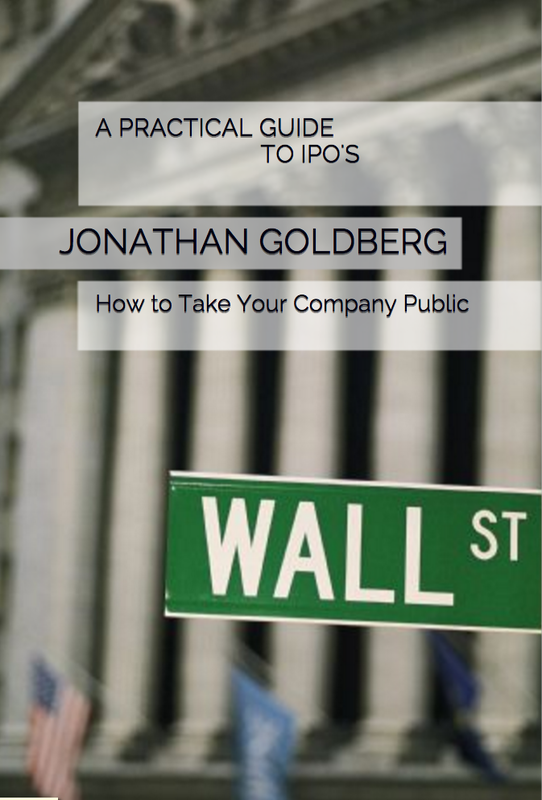 In the last chapter, we took a speedy tour through the IPO process. I now want to return to that key pint in time when management teams first start to introduce themselves to the public side of the IPO process. Some time after picking underwriters, the banks start to introduce their analysts and salespeople to the company. This serves two purposes. One, it helps the banks’ various teams get to know the company. Two, it serves as ‘rehearsal’ for management’s presentations to public investors. There are also legal obligations involved for the underwriters who have to perform some degree of due diligence on the company’s that they are bringing to market. From a purely functional standpoint, this stage in the process involves a second ‘org’ meeting in which the management team presents to all of the underwriters’ research analysts. Crucially, this includes a financial projection. The analysts then take these materials and start building their financial models and eventually publish research notes. The published pieces are an important way to get companies’ messages across to investors. More importantly, those financial models will then be used to set ‘consensus’ earnings estimates. THIS IS A BIG DEAL. After the IPO, when companies report their first quarterly earnings reports (never more than 90 days from the IPO), management will be judged by the comparison of the actual results to those consensus expectations. In practical terms, things can change between the Org meeting and the IPO. There is room for a change to those numbers. But analysts will already be making judgments about management as that happens. I worked on an IPO once where the company repeatedly delayed its IPO over nine months. In that period, they updated their forecasts to us four times. If the company had gone public at the start of that period, they would have missed three quarters in a row. Public market investors would have stopped paying attention after the second miss. We made that clear to management, and I can only imagine it was a factor in their decision to sell the company at a discount to what the bankers had long before pegged as their IPO valuation. Let me just repeat all this, because it is probably the most important procedural point in the IPO. The clock starts ticking the moment when management first gives numbers to anyone on the public side of an IPO. Judgments are being made. Think very carefully about what numbers you give out. And then think about what a reasonable person would guess is the number after the one you give out. At this stage, management teams likely know their bankers very well. So a common mistake is to let the bankers determine the presentation of materials to the research analysts. This does not work because bankers almost never talk to fund managers. They may know them socially, and share timeshare private jets with fund managers, but they do not make a living arguing with fund managers. Bankers have a tendency to paint things as overly-rosy. Fund managers will look for reality and grit and real-world trade-offs. The goal of this ‘org’ meeting is to prepare a very tight presentation for the roadshow, and the roadshow is an exercise in debate, not an exercise in propaganda. In the next chapter I will tie all this up and examine what management teams should actually present on the roadshow.